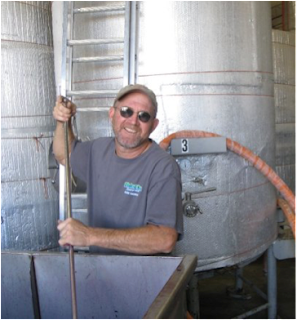 What follows is a Focus report on Kiona Winery and Vineyards. Read a .pdf version of this report here. See previous Focus reports here. Red Mountain is today perhaps the most coveted real estate for Washington vintners. 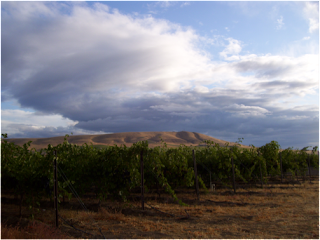 The area, which gained American Viticultural Area (AVA) status in 2001, has over 1,000 acres under cultivation. Fruit from this AVA comprises some of Washington State’s most sought after wines. In the last decade, Quilceda Creek, Col Solare, DeLille Cellars, Corliss Estates, and Grand Reve – a who’s who in Washington wine -have all planted vineyards on Red Mountain. Forty years ago, Red Mountain was an undeveloped piece of desert. The area’s development into a premier wine region had an unlikely beginning. John Williams was working in North Richland as a research metallurgist at General Electric when he received a circular in the mail. The circular, sent to research organizations, solicited participation in various ad-hoc steering committees for local university research programs. Among those listed was one for viticulture and enology research trials. The trials were being conducted at Washington State University under the direction of Dr. Walter Clore. An avid wine consumer, Williams applied to be part of the committee. His friend and co-worker Jim Holmes did the same. Both were accepted onto the committee; and so began the journey of two individuals who would soon have an enormous impact on Washington wine and the Red Mountain wine industry. Williams’ and Holmes’ work on the ad-hoc committee led to an increasing interest in wine and viticulture. Soon the two friends became interested in finding a place to establish a vineyard. While today such a decision might be informed by detailed soil analysis, measurement of heat units, and the like, these were early days for the Washington wine industry. Although Williams and Holmes had researched the growing conditions on Red Mountain, their decision on vineyard location had a much more pragmatic basis. Williams’ father-in-law owned an eighty-acre parcel of land on Red Mountain. Today, planting a vineyard on Red Mountain is an easy decision – if you can afford it. At that time, it was a novel idea. The area was desolate and had no acres under vine. Still, the parcel of land Williams and Holmes bought had southwest facing slopes and long, hot summer days that seemed ideal for growing vinifera. 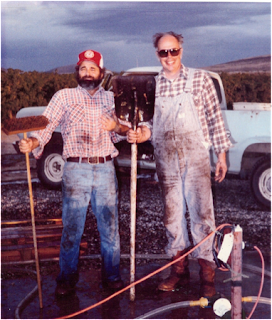 With the water secured, in 1975 Williams and Holmes planted four acres each of Cabernet Sauvignon, Chardonnay, and Riesling. What would soon be named Kiona Vineyard bore its first fruit in 1978. The first wine was produced in 1980. 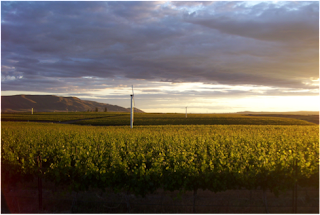 Throughout the growth of what is now the Red Mountain AVA, there has been one constant - Kiona Vineyards and Winery. Pronounced ky-OH-na, the name comes from an Indian name for the area meaning ‘Brown Hills.’ The vineyard and winery is now a family operation for the Williams family. John Williams’ son, Scott, and his brother-in-law, Glen Fukuyama, make the wines. The Williams family now has two hundred and fifty total acres under vine at Red Mountain, including Ranch at the End of the Road and Kiona Vineyard. Williams’ friend Holmes went on to establish another nearby vineyard on Red Mountain, the highly regarded Ciel du Cheval Vineyard (the original Kiona Vineyard was split with the section east of Sunset Road becoming Ciel du Cheval and the section west of the road remaining Kiona Vineyard). As Washington wineries go, Kiona Vineyards and Winery is a reasonably large producer at 30,000 cases annually (the majority of the state’s wineries produce less than 5,000). Kiona not only has a large case production, but their portfolio also includes twenty different wines – a staggering number. While Kiona’s red wines include the usual suspects – Cabernet Sauvignon, Merlot, and Syrah – it also includes varieties less common in Washington State, such as Zinfandel and Lemberger. White wine offerings include Chardonnay, Riesling, and Chenin Blanc. Kiona also makes several dessert wines. Only a handful of wineries, such as Thurston Wolfe and Shooting Star, produce a varietal bottling of Lemberger from Washington fruit. Referred to elsewhere as Blaufränkisch, Kiona Vineyards made the first commercially produced Lemberger in the U.S. in 1980. Back when Williams and Holmes were working on the steering committee at WSU, Lemberger was among the many varieties found to be well suited to grow in Washington. They were particularly intrigued because it hadn’t been planted for commercial use yet in the U.S. Williams says, “In any business, the opportunity to be first with something is pretty rare. Just the idea of planting a variety that was not available anywhere in the United States was pretty attractive.” The Williams family currently has fourteen acres on Red Mountain planted to Lemberger with vines ranging from ten to thirty years in age. This is a signature grape for the winery, and it is consistently a value standout. Unlike most wineries, many of Kiona’s current releases come from older vintages. Wines from the 2003, 2005, 2006, and 2008 vintages are all part of their current lineup. While the combination of relatively low prices and older wines can create a consumer misperception that the winery is backed up on vintages, Kiona prefers to hold wines until they feel they are ready to be consumed rather than asking consumers to do the same. “We own our vineyards, barrels, facilities and bottling line, so we don’t have to push new vintages out the door immediately to pay for operating expenses like a lot of other wineries do,” JJ Williams says. Kiona now separates free run juice, lightly pressed juice, and juice pressed under higher pressure. Williams says, “Everything is kept separated during the entire process… vineyard lots, barrel use, and the extent to which we pressed the wine. So when we are ready to bottle a wine, there might be ten different versions of a wine that has differing amounts of each variable blended in.” Though most of Kiona’s estate wines are either at or close to one hundred percent variety, Williams says a good deal of blending experimentation takes place due to the number of fractions the winery creates. The end result of this experimentation is a lineup of high Quality-to-Price Ratio (QPR) wines that consistently outperform their price points. While at times some of the wines I sampled seemed to want a bit more structure to hold up the fruit, I was impressed by how well the wines held up. The Kiona wines remained remarkably stable over several days and in some cases improved, an admirable quality often lacking in wines at similar price points. One of the challenges for an older winery is maintaining consumer attention. Wine buyers are always interested in the latest thing. An older, established winery could easily become lost among Washington’s six hundred fifty plus wineries. Kiona has looked to avoid this in a number of ways. The winery opened a new tasting facility in 2007, replacing the previous facility in the cellar of the Williams’ home. The new facility has made Kiona a more attractive destination for wine tourists. Kiona also recently launched its first wine club. 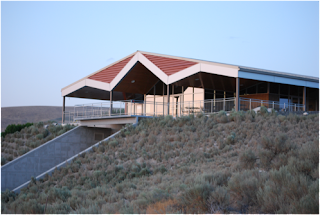 The winery’s plan for the club is to focus on library releases, vertical selections (one wine over multiple years), as well as wine club-only releases. While many Washington wineries have been reluctant to embrace or even enter the world of social media, Kiona has done the opposite. JJ Williams has spearheaded Kiona’s social media efforts. He maintains an active presence on Twitter and Facebook. Additionally, he runs a blog called The 1 Eye Wine Guy (Williams lost his left eye as a teenager). The blog is composed of video segments where Williams and his wife Molly discuss a specific Kiona wine and pair it with a dish Molly prepares. The recipes are provided on-line. Kiona will be celebrating its thirtieth vintage in 2010. Could John Williams have imagined all those years ago what Kiona or Red Mountain would become? JJ Williams says, “According to my Dad, their original plan was ‘grow grapes, make wine, get rich and quit the day jobs.’ It didn’t quite work out that way he adds, with his grandfather retiring from General Electric in 1994. No one is complaining though. While thirty years later Kiona is now one of the elder statesmen in Washington wine, the Williams family’s dedication to experimentation makes it seem young, vibrant, and positioned to attract a new generation of wine consumers. Rating: * (Excellent) An intriguing nose with toasted, spicy oak aromas along with earth, dust, licorice, red fruit, and floral notes. Very much an expression of Red Mountain. A pleasing wine with a palate full of fruit and flowers. Comes off a bit sweet at times and wants a bit more structure to hold the fruit and lift up the backend. Aged 24 months in French and American oak (40% new). 13.5% alcohol. 1,220 cases produced. Note: Although this wine is labeled as Columbia Valley it is 100% Kiona Vineyard. Rating: + (Good) Surprisingly light in color for such a big wine. An appealing nose with sweet spices, licorice, earth, and red fruit. Big and intensely full, with boatloads of fruit and spice on the palate. 100% Red Mountain estate fruit. 13.5% alcohol. 327 cases produced. Rating: + (Good) An intense, aromatic wine with charred and toasted oak aromas along with floral notes, red currant, and tobacco. Green olive aromas also emerge and recede. A pretty wine that is rich and well constructed with focused red fruit. The oak gets in the way a bit at times. 100% Cabernet Sauvignon. Aged in French and American oak (95% new). 13.5% alcohol. 915 cases produced. Rating: + (Good) A complex nose that jumps from the glass with tangerine, mineral, and tropical fruit along with floral and acidic notes. On the taste, frizzante with a well-balanced palate. This wine works, although some may prefer a leaner style and find it a bit sweet. Kiona, Sun River, Vista, Champoux, Coyote Canyon, Olsen Brothers, Hyatt, and Willard Family Farms vineyards. 12.5% alcohol. 2.5% Residual Sugar. 11,000 cases produced. Recommended. Rating: * (Excellent) A very intriguing nose with lots of dried, sugared pineapple, floral notes, and papaya. A thick wine and rich with sugar and tropical fruit flavors. Needs to be a bit colder. Fans of the super sweet sticky will enjoy this well-priced ice wine. 100% Chenin Blanc. 26.8% Residual Sugar. 9.6% alcohol. 2,700 cases produced (375 milliliter bottles). Photos courtesy of Kiona Winery and Vineyards. Excellent review by one of the class acts of Washington Wineries / Vineyards. I would up the score on a few of them, but that's just my preference over yours. Well written summary of this pioneer of WA Wine! Sean - this is a really great in depth profile. Thank you for delivering more than a tweet or quick blog post in this age of quick and easy media. Thank you Sean, for such an interesting and informative post. Red Mt. is probably my favorite wine producting region in WA. It was great to learn some of the history behind it and Kiona as well. Josh, thanks for the comment. Definitely can't go wrong with any of these wines. Sean, you are quite welcome. Thanks for reading. Melinda, Red Mountain is indeed one of the best regions in the state. Thanks for the comment. On these wines, I keep thinking about how well they stood up over time. I just don't see that very often, even at considerably higher price points. What I like about this is: 1) you can have a glass one night without worrying that you are wasting the bottle if you don't drink it all 2) you can have the wine squirreled away in the cellar and know that it will still be alive if you pull it out in a few weeks, months, or years. Very thorough report, great job! I love Kiona, but was pronouncing it wrong till now, thanks for clearing that up for me! I think Kiona's wines were all pretty terrific and though I too the Riesling tasted a bit sweet on its own at first, it was heavenly with a spicy Thai food dinner! I was amazed at the number of wines they produce too, but they're doing an awesome job (you are too!). Sip with Me, thanks for the comment. Don't worry, I was pronouncing it wrong too! An interesting note on Rieslings, many will start putting a label on the back of the bottle that tells where the wine is on the scale of dry to sweet. I've long wanted to see this as there is nothing worse than expecting a dry wine and finding an off-dry or sweet wine. The Kiona wine definitely has some RS but shines in the right situations as you mention. This is just one way how Washington State University (through Walter Clore, in this instance, actually launched the state's wine industry. Since then the university has been a key catalyst in growth of the industry in the state, through dissemination of the results of university research on all aspects of viticulture and enology, through preparing future industry leaders with the only professional certificate programs and 4-year technical bachelor's programs -- in viticulture and enology, and in wine business management -- in the Pacific Northwest, and a full spectrum of interdisciplinary research (throughout the state). The value of seeking (and finding) science-based solutions to complex problems cannot be overestimated. Long live the industry-university partnerships developing! Anon, amen. Part of what I love about this story is what it says about the importance of universities and research. Thanks for the comment. JJ, so excited to hear this. For so many years I've been saying that the problem with Riesling is that consumers have no idea what will be in the bottle. This clears this problem up and is a big boon to consumers. Glad to hear you will be adopting this. Sounds like the Kiona wines were a big hit at the Seattle Food and Wine Experience!